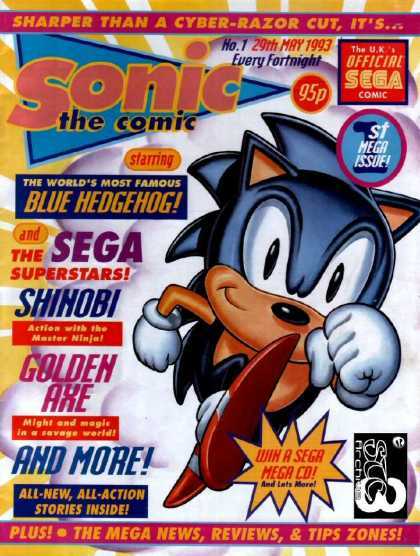 Sonic the Comic, the UK fortnightly comic that ran from 1993 and continues in web form as Sonic the Comic – Online to this day turns 25 years old this year, and fans are planning a celebration of that milestone. 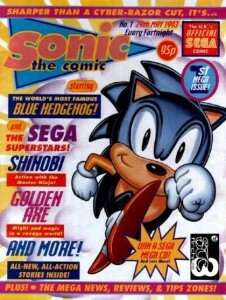 Sonic the Comic Online Editor Mike Corker is hoping to see the event come to life pending a successful Kickstarter campaign in the form of a day-long celebration of the comic and everything that made it memorable to fans 25 years after it’s creation. Fans will have the opportunity to meet special guests, including the fan artists who continue the comics legacy, with backer perks including a T-Shirt with artwork designed by Richard Elson to commemorate the event. The event will be held on June 3rd 2018 at the FAB cafe in Manchester. With a modest goal of £1000, the Kickstarter is currently at just under £400, with funds contributing to venue and equipment hire and special guest costs. Those of you who popped in to last year’s Summer of Sonic convention might have had the opportunity to talk to Sonic the Comic artist Nigel Dobbyn…and some of you were even more lucky to beat me in picking up some original artwork! Once again we are fortunate to once again welcome back Nigel, who will be returning to Summer of Sonic once again to sign your comics and have a natter (and heck if you’re nice enough he might even draw you a quick sketch!). Nigel might also up to some other tricks on the day…but we’re keeping that under my hat for now; we will just tease you with some of his new artwork instead! As well as Nigel, we are also happy to announce this year, the young aspiring artists from Sonic the Comic Online will be in attendence and will also be showing off their artwork and talent! Don’t forget there will also be more opportunities for you to show off your own artistic flair at our Art corner too…and who knows, there might even be some fab prizes to be won. More on that later! Do keep your eyes firmly fixed on the Summer of Sonic website, because believe me, you’re going to want to be there this year! The Eagle Awards, a British comic awards ceremony, has begun taking votes for possible nominees for the 2007 Eagle Awards. Sonic the Comic Online, as well as several creators from the official series, are now selectable in their online nomination form. One of the best fan made comics ever made, which was created after the official Sonic The Comic died, has a new issue. Issue #234 has been released online. Sonic_Hedgehogs Returns, STC is Revived!